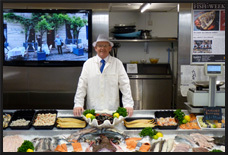 Based on the Isle of Man, the team at Paddy's has over 50 years combined experience in the fishmongers and seafood industry. 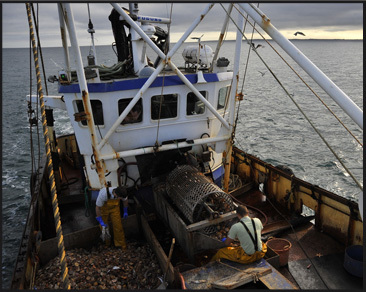 This experience means that we have built up a fantastic working relationship with our local Isle of Man fishermen. Fresh fish is landed by the local boats and delivered to us with a short space of time, ensuring that our customers receive the freshest fish possible. 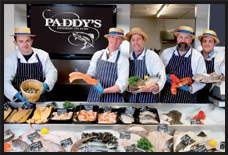 At Paddy's, our aim is to provide the highest quality, freshest and sustainable (where possible) fish and seafood there is. We want you to enjoy fish and seafood as much as we do and so love to hear feedback from our customers on recipes and dishes they have made. 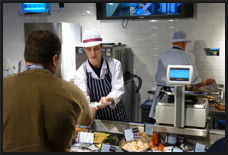 We also want to make it easy for you so we are always happy to offer advice and tips on preparation - nothing is too much trouble for your local/online fishmonger. 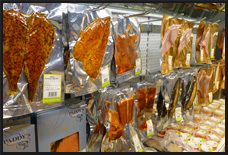 Over the years we have become famous for our own Smoked Salmon which has won awards and smoked to an age old recipe using cherry wood. Manx Queenies (Queen Scallops) and King Scallops also have something of a reputation and good old Manx Kippers are always a favourite. So why not have a look around, try our favourites plus something new.